The EPA Toxics Release Inventory (TRI) program is an annually updated catalogue of hazardous chemicals that are stored across the United States, maintained by the Environmental Protection Agency under the Emergency Planning and Community Right-to-Know Act of 1986 (EPCRA). TRI reporting is an important annual activity for a huge number of US businesses. It accounts for the manufacture, use, or processing of hazardous chemicals throughout the calendar year. These hazardous chemicals are indicated on the USEPA list of chemicals. The TRI reporting deadline falls on July 1 of every calendar year. Each year, any business from specific industry sectors (e.g. manufacturing, mining, etc. ), employs ten or more employees, and utilizes a TRI-listed chemical, will need to engage with the TRI Form R and submit a report for the previous calendar year. The programme was set up in the aftermath the Union Carbide Bhopal Disaster of 1984, with the aim of this reporting process being to ensure that US citizens have access to an up-to-date database of what hazardous chemicals are being stored and used in their communities. 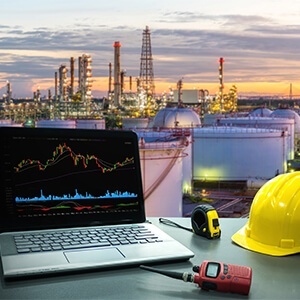 The TRI reporting program compels businesses to report the storage and transfer of hazardous chemicals in their facilities to a strict 1 July deadline every year. Further empowered by the Pollution Prevention Act of 1990, the EPA assesses hazardous waste management activities in US businesses on an ongoing basis. Are all applicable sources covered? Are all substances being reported – and has a TRI threshold been passed? Are substances being included that don’t need to be reported? The formulation of an accurate and compliant TRI report depends on understanding the science behind it. Given the vast range of TRI-listed chemicals that a company may have on-site, and the myriad types of waste and air outputs that may be in place, a strong, highly calibrated solution is called for. An exhaustive, fully-informed assessment of chemicals on your site. Our constantly updated master chemical list of over 120,000 entries. The EPA TRI program is one that demands wholly accurate reporting – with a large margin of error in both accuracy and what to include. Given the “right-to-know” basis of the regulations, it is not surprising that the EPA publishes the data provided via a TRI report to publically accessible websites – including the TOXMAP website. This gives an even greater impetus for businesses for accuracy, as their performance will be public knowledge. With substantial expertise in reporting, ERA will help your business achieve full compliance and total regulatory satisfaction. We have provided TRI help for hundreds of individual companies. Often, businesses need TRI assistance in dealing with their air emissions and hazardous waste – such as identifying their waste threshold. As a business, we pride ourselves on our intimate knowledge of reporting programs and regulations, such as the TRI program. If you require any further guidance, please fill out the form below for a free, no-obligation demo of how ERA’s innovative and intuitive software can fulfill your TRI needs. Track all incoming chemicals and the quantities of product used/processed. Built-in Master Chemical List containing every single TRI reportable product. Up to date threshold data direct from the EPA. TRI report output compatible for direct upload to TRI-MEweb. Built-in tools for claiming waste credits and using TRI exemptions. Superior calculation engine that does all the number crunching for you.